← Surprised? Caffeine DOES NOT Increase Blood Pressure — PERIOD! Jamaica Blue Mountain coffee, grown in the Blue Mountain range in Jamaica, with peaks as high as 7,500 feet, is perhaps the most prized coffee in the world. It is famous for its full, rich flavor, clean taste, low acidity, notable sweetness, extraordinary body, and powerful, intense aroma. This tasty coffee doesn’t come cheap. 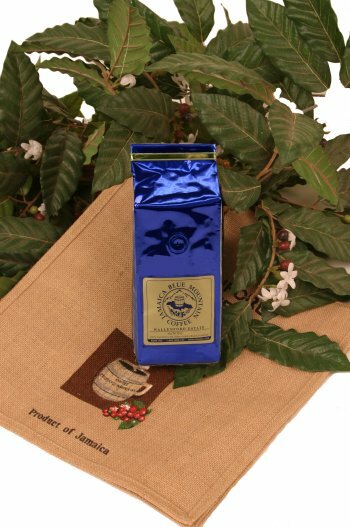 A one pound bag of Jamaica Blue Mountain Wallingford Coffee, one of the most highly regarded estates offering this coffee, costs $50.00! Nevertheless, if you want to treat yourself to the best coffee in the world, you won’t go wrong to splurge on this wundercafé. And now for something completely different. I’ve completed my initial taste-testing of the Ethiopian Yirgacheffe coffee beans to the Guatemalan Heuheutenango. The Yirgacheffe surprised and delighted me. While I found the Guatemalan Heuheutenango, Hawaiian Kona and Costa Rican beans to all be very similar, smooth and subdued and earthy, I found the Yirgacheffe to have a distinctive flavor, bright and floral with some fruitiness. It will definitely become a part of my repertoire. If it’s OK with you, I’m going to regard you as our unofficial coffee consultant in matters relating to enjoyment, preparation, and varietal details. You are the source of a wealth of detailed and fascinating information! You are a tremendous asset to our site. Yes, indeed . . . it is hard to beat Costa Rican La Minita. I buy it from a small, local roasting/coffee shop, nearby. I’ve tried numerous coffees from around the globe and have found it to be the very best for my tastebuds! Anyway, Frank . . . I decided to give your coffee suggestions a try. Yesterday, I ordered a tiny sample size bag of the Kona . . . and an 8 oz bag of Gautemalan Heuheutenango (that name always brings a smile to my face), an 8 oz bag of French Roast, and an 8 oz bag of Pacific Dark Roast. Only small bags for now, to see if I enjoy them. I do prefer dark roasts . . . and the earthiness of that great volcanic soil that you had mentioned earlier. Hmmm . 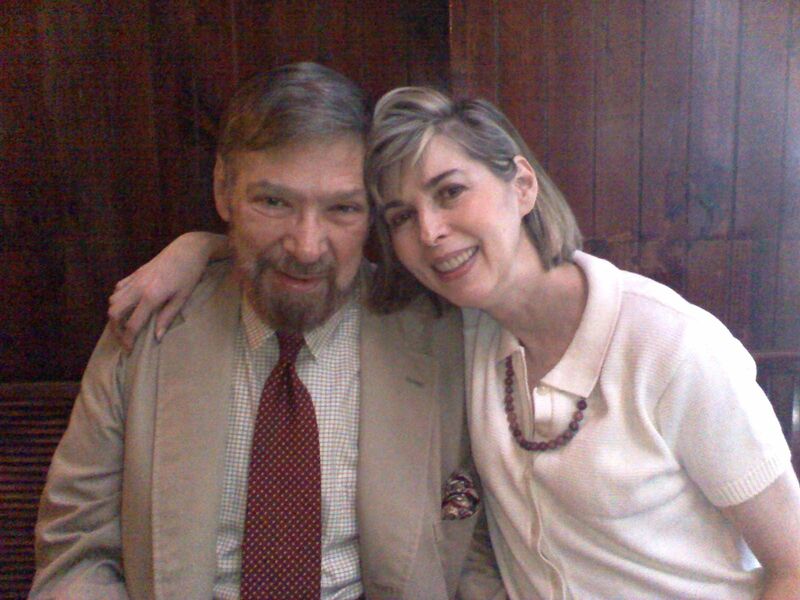 . . will see if I can bring a portion of the La Minita website here, to share . . . This coffee is our headliner. We grow it between 4,000 and 6,000 feet above sea level, on a plantation with a unique micro-climate, whose production has been prized in Europe for more than half a century. There is simply no other coffee prepared so carefully. We begin with about 1,000,000 pounds of green coffee from the heart of the crop. Of this amount, only 289,000 pounds give or take will survive mill classifications to be bagged for shipment. This represents a selective process that reduces our finest raw material by more than 70%. This is an amazing statistic, especially considering the more than 30,000 man-hours of improvement by hand selection during final preparation. We have attempted to produce the perfectly balanced coffee. One that combines all of the ingredients that a classic cup should contain: sweet aroma, full body, great acidity, and delicately clean aftertaste. All in balance and with no impurities to detract from its enjoyment. In a word: elegant. Many of our clients state that La Minita is the best coffee that they offer. It has received considerable press exposure and public acclaim, and now we are into our twelfth year. This year’s coffee has an extraordinary taste of a fine milk chocolate truffle, it is as good as any coffee that we have ever produced. Their full website is worth a quick tour. Time to pour another cup. Nothing better than coffee, friends, and good reading material on a lazy Saturday morning! As I promised, I did a side-by-side taste testing of my favored Guatemalan Heuheutenango coffee beans against those favored by Pat (aka A Mom In Iowa), the Costa Rican Tarrazu coffee beans. First my method and then my results. I ground the beans somewhat finely in a blade grinder for twelve seconds. I ground enough for four 6 ounce cups of coffee. I added water for five 6 ounce cups of coffee to my Mr. Coffee type coffee maker and ended up with four 6 ounce cups of coffee. This was enough for two and a half 10 ounce cups of coffee of each type. As I’m now somewhat familiar with my Heuheutenango, I started with the Tarrazu and savored one and a half 10 ounce cups. Then I saved the remaining 10 ounce cup for comparison and brewed the Heuheutenango. I drank one and a half 10 ounce cups of Heuheutenango alongside the remaining 10 ounce cup of Tarrazu for comparison. I carried out this same test twice, yesterday morning and again this morning. I found the two coffees to be remarkably similar. But the Heuheutenango is just a little bit smoother. and the Tarrazu has just a bit more “bite” to it, a touch of acidity without being bitter. Both have a smooth, slightly sweet flavor, with no bitterness. I can see why Pat likes the Tarrazu but I still prefer the Heuheutenango. As I stated previously, I found the Heuheutenango to be remarkably similar to the “overpriced” Hawaiian Kona and it will remain for the time being my coffee of choice. And now for something totally different. I plan for my next taste test to compare the Ethiopian Yirgacheffe coffee from Africa to my Central American Guatemalan Heuheutenango. Will let you know the results. Here are some comments I got from the internet. Some North American coffee drinkers who taste these coffees for the first time are enchanted. Others simply don’t like the experience. For the nay-tasters a fine Yirgacheffe “doesn’t taste like coffee,” meaning, of course, it doesn’t taste like coffees produced elsewhere in the world from more familiar varieties of Arabica. The hint of flowers that turns up in fine Arabicas from all over the world may be dandy, for example, but the often intense floral character of exceptional wet-processed Ethiopias, particularly Yirgacheffes, can be unsettling to those not accustomed to the note. By the way, Bennett, another article I read on the Yirgacheffes indicated that it was here that coffee originated, and that later coffee found its way from Yemen to Europe. Coffee first appeared in history in the Yemen just after 1500. However, there were people alive who remembered when it was unknown there but the secret had already been forgotten of where it came from. Some Arab historians speculated it came from Ethiopia, others that it simply grew wild in the Yemeni hills. But no one really knows and, probably, no one will ever know. It is a fact, however, that coffee grows wild and always has all across Africa. Your account of coffee’s history seems consistent with the following. By the way, the discussion of dry-processing versus wet-processing here is interesting. I look forward to taste-testing the Ethiopian Yirgacheffe. An interesting trivia question to ask people is where coffee originated. Virtually everyone looks confused, and, when pressed, usually tries a Latin-American country: Colombia, say, or Brazil. Of course, Coffee arabica, the species that produces all fine coffees, originated in the highland forests of Ethiopia, in the Horn of Africa. The arabica tree, which still grows wild in the middle tier of the Ethiopian forest, was most likely domesticated as a kind of medicinal herb, and carried very early across the Red Sea to Yemen in southern Arabia, where someone figured out how good the seeds tasted when roasted, ground, and steeped in hot or boiling water. Europeans discovered coffee in the coffeehouses of Cairo and Constantinople, began importing it from Yemen, and eventually carried it to the rest of the world, including Latin America. Ethiopia continues to be a rich, mothering, deep source of coffee. Ethiopia coffees range from those gathered in forests to those grown on large farms or estates. However, Ethiopia coffees found in American specialty stores tend to break into two categories: dry-processed and wet-processed or “washed” coffees. Dry-processed coffees are dried with the fruit still adhering to the bean, generally making them fruitier, fuller, and more idiosyncratic in the cup than the more transparent-tasting wet-processed beans, from which the fruit has been removed before drying. Most dry-processed Ethiopia coffees originate east of the capital of Addis Ababa and are called Harrars, after the name of the principle market city. Wet-processed coffees come from the south and west of Addis Ababa and carry various market names, including Yirgacheffe (spelled in a variety of ways), Washed Sidamo and Limu. The simplicity of dry-processing, for which the farmer needs no machinery whatsoever (the dried fruit husks usually are removed from the beans later at centralized mills), connects it to the very earliest days of coffee production. The dry-processed coffees of Ethiopia and Yemen, just across the Red Sea from Ethiopia, are the world’s most traditional coffees. Both are processed in the same way they were centuries ago. They also come mainly from trees of very ancient cultivars of Coffea arabica. In its December issue Coffee Review will report on a cupping of some of these extraordinary dry-processed coffees of Ethiopia and Yemen, which represent the literal flesh and taste of living history. This month, however, we report on a cupping of the equally remarkable wet-processed or washed coffees of Ethiopia. If the Harrars and other dry-processed coffees of Ethiopia are idiosyncratic, mysterious, ambiguous, the finest washed coffees of Ethiopia are the quintessence of elegance: bright, high-toned, buoyant with citrus and floral tones. Both are complex, but the complexity of wet-processed Ethiopias shimmers at the top of the profile, alive with lemon, spice and flower tones that at times almost shock with their intensity. Wet-processed (or “washed” as wet-processed coffees are often called) Ethiopias are produced in several regions to the south and west of the capital of Addis Ababa. However, from the American buyer’s perspective they really fall into two categories: the celebrated Yirgacheffes, from a region southwest of the capital, and all of the other wet-processed Ethiopias, which include wet-processed Sidamos, Limus, and others. In other words, from a cupper’s perspective, Yirgacheffes set the standard and the other origins compete, usually with lower-key, less extravagant versions of the perfumy Yirgacheffe profile. Of course, there are stories of coffees from other areas being marketed as Yirgacheffes. But there is no mistaking the goal of any coffee that purports to be a Yirgacheffe. It is one of the world’s most distinctive origins, always easy to pick out in a blend, singing its citrusy, floral song high above the chorus of mere mortal coffees sounding below. This month’s cupping brought us twelve Ethiopia washed coffees: four Yirgacheffes, three Sidamos, three Limus, and two unusual coffees from the Mt. Welel area near the Sudan border. Of the twelve coffees, four were supplied by the Gourmet Coffee Project, an initiative funded by the United Nations designed to identify and develop new specialty coffees in producing countries and promote those coffees in more well-heeled parts of the world like North America and Japan. The four Gourmet Project coffees are identified rather specifically in terms of estate or mill. Perhaps predictably, Yirgacheffes continued to rule the wet-processed Ethiopia roost, with a considerably higher collective rating than samples from other regions. However, only one Yirgacheffe, the entry from Royal Coffee, displayed quite the astounding high-toned aromatic fireworks of which this origin is capable. A second Yirgacheffe, this one from Holland Coffee, also was impressive, though a bit lower-toned and perhaps more seductive than the Royal Coffee sample. The other coffees in the cupping were fragrant and agreeable, but failed to deliver quite the perfumed thrill that professionals and aficionados always hope for when dropping their noses over a cup of this most distinctive and exotic of coffee origins. You are certainly a coffee conoisseur! I can’t wait to try Yirgacheffe myself, if I can find it! Please keep up the great business of sending these wonderful comments to this site! I was grinding my beans too coarsely – for a Mr. Coffee-type drip brewer the beans should be ground fairly fine – see chart below. I was not using quite enough coffee per cup of coffee, resulting in a weak brew. You should use approximately two heaping tablespoons of ground coffee for every six ounce cup of coffee you want to make. Coffee beans can be chopped by using blades rotating at high speed (20,000 to 30,000 rpm), either in a blade grinder designed specifically for coffee and spices, or in a general use home blender. Devices of this sort are cheaper and longer-lasting than burr grinders, but the grind is not uniform and will produce particles of widely varying sizes where ideally all particles should have the same size, right for the method of brewing. The ground coffee is also warmed by friction. 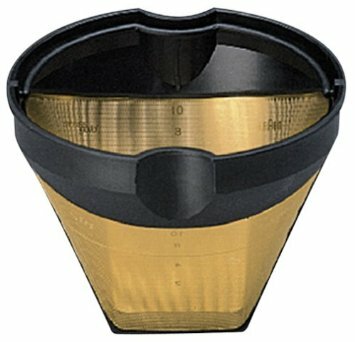 Blade grinders create “coffee dust” that can clog up sieves in espresso machines and French presses, and are best suited for drip coffee makers. They are not recommended for grinding coffee for use with pump espresso machines. Cheaper grinders don’t always have coarseness settings, so you will have to experiment a little to establish how long to let your machine grind to achieve the right coarseness (or fineness, depending on your point of view). Medium – Gritty, like coarse sand. Extra fine – Finer than sugar, but not quite powdered. Grains should still be discernable to the touch. Turkish – Powdered, like flour. Most inexpensive (blade) grinders will be unable to grind this finely. The table below will tell you which grind to choose to suit your particular coffee-brewing method. Lastly, to truly appreciate the flavor of a fine coffee, you should drink it black, unadorned by cream or sugar. Tonight I’m enjoying a couple of cups of Hawaiian Kona. It is very smooth and sweet, with no trace of bitterness. But I’ve been drinking the Guatemalan Heuheutenago for the last couple of days and find it to be every bit as good as the Kona. Just as smooth and sweet, and devoid of bitterness. I won’t be buying Kona any more. A Mom In Iowa informs me that her favorite coffee is Costa Rican Tarrazu. I’ll probably try my next “cupping” test on Guatemalan Heuheutenango versus Costa Rican Tarrazu coffee. I’ll let you know how that turns out. One last comment: as I’ve noted I’m not a snobby coffee connoisseur, but I enjoy a good cup of coffee. When I’m treating myself, I prefer freshly ground beans, somewhat coarsely ground (not powdery), dripped through a paper filter. I use an electric blade grinder. I think I get a pretty high quality product if I use good quality beans. What’s your take on the freshly ground, etc. questions, Bennett? Here’s an article I found on the internet. It concerns a question I intend to answer for myself. He points out the similarity in taste of Kona to Guatemalan and it is this comparison I intend to make. At $54 a pound Kona will have to convince me that it is really that much better than the Guatemalan. More to come. Note this article is almost ten years ole and coffee prices have doubled since then. Or, to be more specific, is the actual coffee experience inside a Kona bag worth around $30 per pound, three to four times the price of the coffee experiences contained inside other bags? Most coffee professionals dont think so. Kona bashing is less prevalent in the specialty coffee industry than it was some years back, but you can still detect the barely concealed sneers behind the deliberately vacant looks when the subject of Kona comes up (infrequently) during pre-trade-show cocktail parties and post-show dinners. Essentially, the Kona-bashers position is that Kona is a perfectly decent but hardly exceptional coffee so lacking in distinction that many of the Americas leading cuppers failed to distinguish it from much cheaper Central America coffees during the recent scandal in which a green coffee dealer regularly sold Costa Rica and Panama beans inside Kona bags. Hence, Kona is wildly overpriced and consumers are being duped either by memories of trade winds or by simple name-dropped snobbery. For what they are worth, here are my observations on the Are-Konas-Worth-It issue: Kona is not overpriced, other fine coffees are under priced. Entire societies are being torn apart by the current obscenely low prices for green coffee. Coffee fine coffee should retail for at least $15 per pound, which would enable roasters to pay growers what the growers need to get by and to continue to improve their production, thus giving us coffee lovers more pleasure. And, at $15 per pound, fine coffee still would be a wildly under priced beverage when compared to wine or micro-brewed beer. For consumers on a budget there always will be bland supermarket robusta-packed blends for under $5 per pound. By the way, even at Konas current high prices a family working the land itself would have a hard time making ends meet on the sale of green coffee alone. Most Kona farmers have day jobs. Konas can be very, very good. See this months main article, Cupping with Ken Davids: Konas and Other Hawaiis. They can be good because they are produced from typica, one of the great traditional cultivars of Arabica, and because the boutique Kona growers on their little farms do a splendid job of processing and drying their coffees. I have yet to cup a Kona coffee with a taste defect owing to mistakes or shortcuts in processing. It is true that some of the larger mills do not coddle their coffees like the owners of the smaller farms do. These are the price Konas that add their pathetic 20% to Kona blends or fill the bags of the half-stale 100% Konas for sale at airport shops. But small-farm Konas are consistently both good coffees and interesting coffees. And they are not low-altitude coffees. Owing to Hawaiis latitude, farther north than most coffee growing regions, and perhaps to the cooling impact of the trade winds, a Kona grown at 2,000 feet is equivalent in cup character to Central America coffees grown at 4,000 feet. For example, coffee grown in Kona above about 3,500 feet is subject to freezing, just as coffees grown above about 6,500 feet in Central America are pushing the limits of cultivation. That being said, even the best Konas are not among the worlds most distinctive coffees. They are not wildly floral and citrus-saturated like Ethiopia Yirgacheffes, or fruitily acidy like Kenyas, or redolent with forest-floor notes like the best traditional Sulawesis. They are very much like Guatemala coffees: an origin that produces a variety of classic coffees that range from sweet, round and nuanced to big, austere and acidy. I realize that all of the preceding leaves me something of a fence-sitter on the question of the intrinsic value of Kona coffee. I guess for me the crucial point about Kona is that, from a coffee connoisseurship point of view, the higher price this coffee commands enables a lot of passionately committed, often innovative small farmers to pursue both quality and distinction and get paid something resembling fair prices for their efforts. Would that were true right now elsewhere in the world of fine coffee. Kona coffee, grown on a narrow band of hard-scrabble lava terrain that meanders along the mountainside above the resort complexes and splendid western coastline of the Big Island of Hawaii, is a singular coffee origin in many respects. A combination of demand and scarcity have made one of the worlds most expensive coffees. It is a favorite among American and Japanese consumers, who associate it with happy times spent luxuriating in balmy air and muumuus. On the other hand, it remains a sort of bete-noir among many coffee professionals, who consider it an overpriced, weak-kneed imposter of a coffee they are forced to fuss over owing to the misguided enthusiasm of beach-besotted consumers. Complicating the Kona picture are newer coffees produced on large farms on other Hawaiian islands, coffees that attempt to ride Konas coattails into the marketplace Kauai Coffee on Kauai, and Coffees of Hawaii on Molokai. Smaller fields have been planted by hobbyist growers elsewhere in the Islands. Judging from the fact that both Starbucks Coffee and Peets Coffee & Tea, two institutions with a long-standing tradition of Kona-avoiding, now offer pure Kona coffees, it appears that the consumers have won the battle. Or, perhaps, Kona coffees have won the battle. Always a coffee blessed by nature and a superb coffee tradition nurtured first by Japanese farmers and an innovative University of Hawaii agricultural extension program, then by hippie back-to-the-landers, Kona coffee is now benefiting from the same loving attention by retired-executives-turned-farmers that transformed Napa Valley wines from ordinary to world-beating. Every time I cup Konas they seem to impress me more with their quality and variety. This is a fine and interesting origin. But an origin worth three or four times as much as most other coffees? Those interested in that question may want to test their thoughts against the observations I offer in Are Konas Worth It? But, one way or the other, anyone who puts out $30 per pound for a coffee ought to get the best possible version of that coffee. Hence the questions animating this cupping. Where is the vacation-nostalgic (or name-dropping) consumer to find the best Hawaii coffee? In Kona? Elsewhere in the islands? Through a mainland coffee roaster? Or direct from the farm? Because Hawaii coffee farmers, owing to the high prices they receive from their coffee and their easy access to the mainland American market, are doing what quality farmers all over the world have wanted to do for years: cut out all of the middlemen, from green dealers through roasters to retailers, and sell their coffee directly from the farm to the consumer. The Internet and tourism obviously conspire to assist this enterprise. I cupped twenty-seven Hawaii coffees to try to answer those questions. Eighteen of those coffees were Konas and nine were from Kauai and Molokai. Some from each group are roasted by large roasting and retailing companies, either on the mainland or in Hawaii, and others (the majority) are roasted and sold directly to consumers by the farms that produce the coffee. The Konas shone in comparison to the Kauai and Molokai coffees, although the latter were solid, interesting coffees that continue to improve year by year. However, I can report no overall pattern of superiority between the Konas roasted on the mainland and those roasted on the farms. Nor did size of roasting company seem to make much difference. The most listless and ordinary Kona in the cupping was produced by Lion Coffee, Hawaiis largest specialty roaster. On the other hand, the pure Kona from specialty giant Starbucks was distinctive and attractive. I will say, however, that I was most impressed by those Konas sold directly from small farms. In fact, there were too many good ones to put into the article. And the only small-farm Konas that were not impressive were distinct oddities: a coffee grown from trees grafted onto Liberica (a non-Arabica species) rootstock, and an aged coffee. The standard issue, current-crop, direct-from-the farm Konas all struck me as fine to remarkable. Furthermore, I found the quality of the roasting and the freshness of the delivery impressive. In most cases I obtained the samples by simply showing up unannounced at the farm or farm store and buying what was on the shelf. In every case, what I reached home with was agreeably fresh, and I see no reason why the same wouldnt be true for a consumer ordering via Internet or telephone. And there were no roasting flaws that I could detect. Many mainland roasters would be well advised to take lessons from these farmers about how to roast coffee with genuine respect for the bean itself. Finally, I was impressed by the variety these small-farm Konas displayed in the cup. As I indicate in a sidebar to this article (Are Konas Worth It?) Kona is not a strikingly distinctive origin, a la Ethiopia Yirgacheffe or Kenya, but it is a subtly varied one. Like Guatemala Antiguas, which vary from lightly bright, sweet and fruity when grown on the valley floor to austerely acidy when produced on the valley slopes, this months Konas range from wonderfully and complexly fruity, soft and sweet (Nani Kona, Greenwell Farms) to powerfully acidy and authoritative (Brocksen Gate, Kona Mountain). No one should have any problem importing a little retrospective paradise from one of these farms, custom-roasted. I guess I have expensive tastes. My other favorite coffee is Kona. From Wikipedia. Kona coffee is the market name for coffee (Coffea arabica) cultivated on the slopes of Hualalai and Mauna Loa in the North and South Kona Districts of the Big Island of Hawaii. It is one of the most expensive coffees in the world. Only coffee from the Kona Districts can be described as “Kona”. The weather of sunny mornings, cloud or rain in the afternoon, little wind and mild nights combined with porous, mineral rich volcanic soil, creates favorable coffee growing conditions. You do have expensive and very good tastes! Kona is wonderful, I agree. But I’m still a fan of straight, real, medium roasted Yemeni Mocha beans. Not as expensive as Jamaican or Kona, but damn tasty! By the way, this was the first coffee to appear in history, popping up in the Yemen around 1500. Another of my favorites which is not so expensive is Guatemalan. I’m not enough of a connoisseur to know which variety I prefer. It is a discounted version of Jamaican or Kona. Guatemalan coffee is revered as one of the most flavorful and nuanced cups in the world. Due to our proximity to Guatemala, some of the finest coffees from this origin come to the United States. Guatemalan growing regions vary in their potential cup quality: many have sufficient altitude, soil and climate conditions. Antiguas are well-known and highly rated. Huehuetenango from the north highland can be exceptional and have distinct fruit flavors. Coban, Fraijanes and Quiche can be nice, but they need to be cupped carefully: they can have a nice cup but sometimes less complexity and depth. Atitlan has produced some very fine coffees in the past few years. But remember, you can’t count on any origin to necessarily produce a great coffee: the quality cup is still hard to find among even the most celebrated and recognized regions …in this case Antigua. Well, Bennett, I decided this week to splurge and treat myself to a pound of genuine Hawaian Kona beans for $54. While I am not a snobby connoisseur such as you might find at a coffee “cupping” at a gourmet coffee shop slurping away, I do appreciate a good cup of coffee. I find that to appreciate a really good cup of coffee fully it’s best to drink it black, unadorned by the maskings of cream or sugar. Kona has a very smooth taste, with no trace of bitterness. It verges on sweetness. It has a very mild aroma. Perhaps you could do an article on what qualities to look for in the taste and flavor and body of a fine coffee. Who knows, you may turn us into snobby coffee connoisseurs yet. By the way, I also bought a pound of Guatemalan Huchuetenango beans for the more reasonable price of $17 and will be spending the next several weeks investigating how sophisticated my palate really is and whether I can really taste the difference between this fine coffee and the much more expensive Hawaian Kona. I’ll keep you informed. By the way, how do you compare your Yemini Mocha to Hawaian Kona and Guatemalan Huchuetenango in terms of taste and body, etc. ?